An awesome little lady is about to turn one! One! Cue all sorts of "I don't know where the time went" cliches. In all honesty, it felt like time stood still during the 3 a.m. wake-ups and the great stomach plague of January. But I recently came across a blurry iPhone video of Little Lady's first gummy grin and I cannot believe that tiny creature is now almost walking, shoveling food in her mouth, and grabbing toys from her big brother. Watch out world! I'm in the midst of planning a cute little birthday party to celebrate this sweet girl (and also, to celebrate the fact that we survived). I'm going for Pinterest perfect meets backyard casual but am also trying to be realistic and accept that I may be at Party City the night before, frantically throwing party supplies into my cart because well, life. I imagine it'll be a scene from one of those Black Friday shopping clips where I'll be running people over with my cart and making a general fool of myself. Needless to say, the perfect theme will be a wishful thing of the past. Princess items? Sure! Monster trucks? Um, ok! Teletubbies? Fine! Wait, are Teletubbies still a thing? Gosh, I'd really like to avoid that debacle. So when the good folks at Minted asked if I'd be interested in reviewing some of their adorable party items, it was like they read my mind. Or they are spying on me in which case, no I did not wear the same shirt two days in a row and no, we did not have cereal for dinner last night (served in mugs, no less). If you're not familiar with Minted, you need to visit the site asap for perfectly designed and curated stationery, party decor, and art prints from uber talented independent designers. 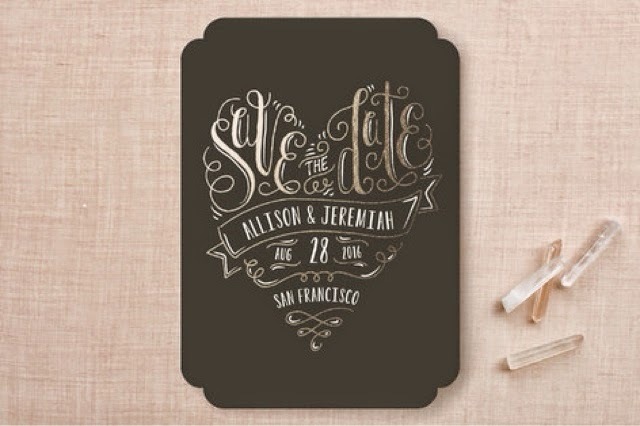 They recently introduced a lovely line of "Save the Date" cards for every type of wedding. From boho chic to glamorous to flowery, they have you covered. I love me a good wedding but I gots me a birthday party to plan! 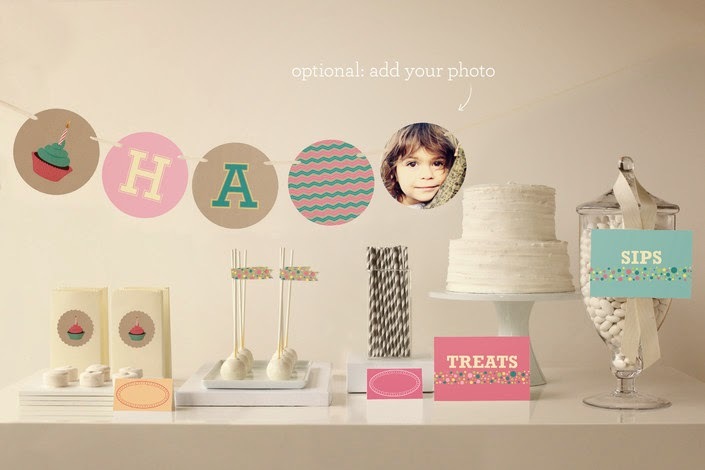 The great thing about Minted is that they have themes perfect for every type of party. Cute? Yup. Whimsical? Sure. Pretty? That too. You can customize your search by occasion, color, and theme and come up with the perfect decor products from banners to tiny paper flags to personalized signs. Oh, and you can mix and match items from a variety of themes for that perfect look. I'm loving their glitter banners (never met an item drenched in glitter that I did not LOVE), personalized table runners, and stickers. After changing the contents of my shopping cart every time I found something else that I loved, I think I've finally selected the perfect mix of party decor and I cannot wait to share it with you soon! Haha - Azmina, happy birthday to your little lady! This has gotta be one of the funniest reviews I have read for Minted! Thanks Shashi! I really love the company, and their start is just so motivational. happy birthday to the little lady!!! I can't believe she's turning one! 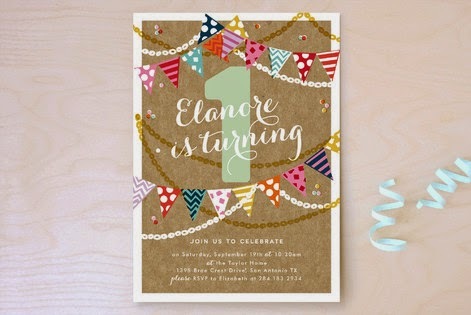 What a beautiful way to celebrate...love Minted! Right?! First one, then sixteen. Gah! Not ready! Love love the party decor. So unique and elegant. 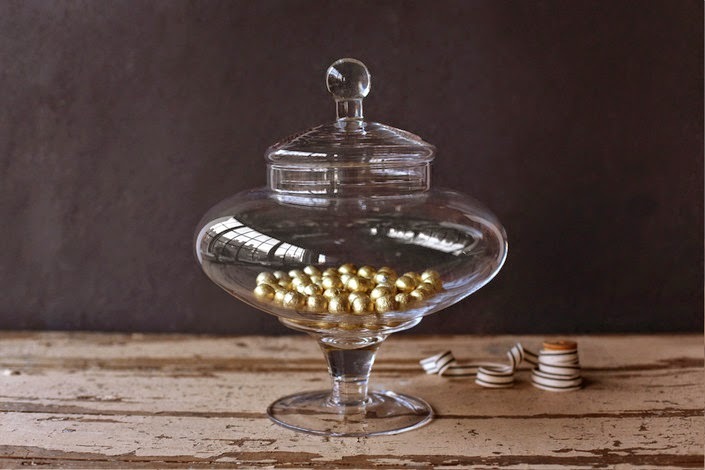 I will def check out Minted today! What a beautiful idea and theme for your little one's first birthday!